Today, I got an introduction to letterpress printing! Working in the pre-press department of a local modern print company means I have an interest in all things print, so when Mostly Flat in Ludlow announced they were having an open day, I just had to drop by. 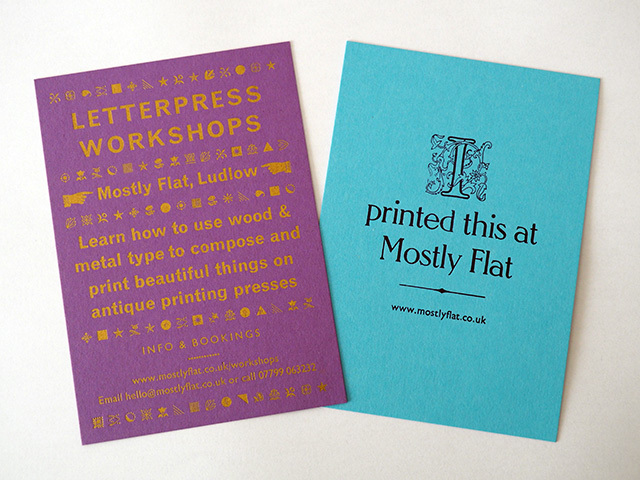 Mostly Flat is a letterpress design and print studio. So, whilst I use a computer to typeset, design and send work to print, Dulcie at Mostly Flat works with hand-set wood and metal type or image blocks to create hand-made items such as greeting cards, prints, stationery and more. 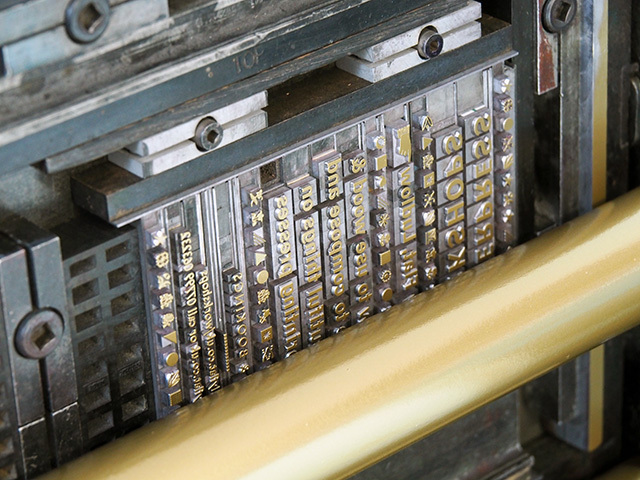 The way I work is relatively new, but letterpress was the dominant form of printing for 500 years. Letterpress printing is now experiencing a cult revival, especially in terms of wedding invites and stationery. For ease of demonstrating letterpress, Dulcie had already typeset a couple of different designs and set-up the presses ready to use. I was allowed to get hands-on with both a tabletop platen press (oh, how I “need” one of these, imagine being able to do my own letterpress printed stationery, if only I had the room!) and a floor-standing treadle platen press, and was able to take home the small cards I’d printed. 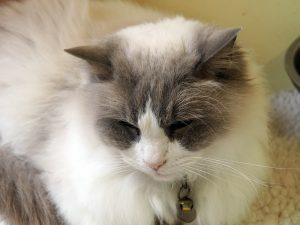 Dulcie was very informative and I found it all very interesting. Just a quick go on these machines made me want to do more. 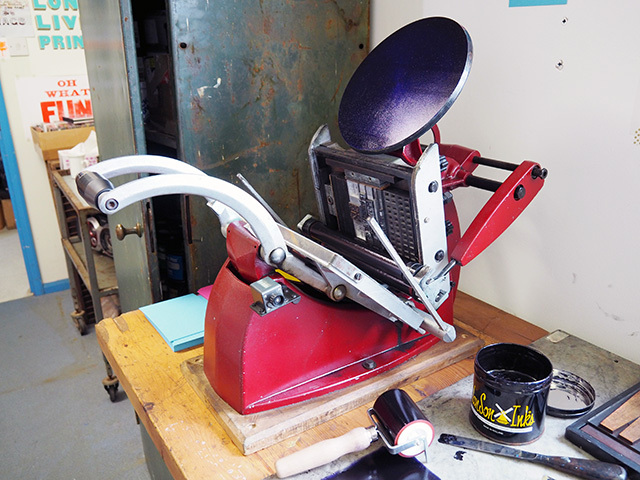 Thankfully, Mostly Flat runs one-day workshops teaching the fundamentals of traditional letterpress (for a maximum of 3 people at a time) for both beginners and improvers, and each workshop is tailored to suit. 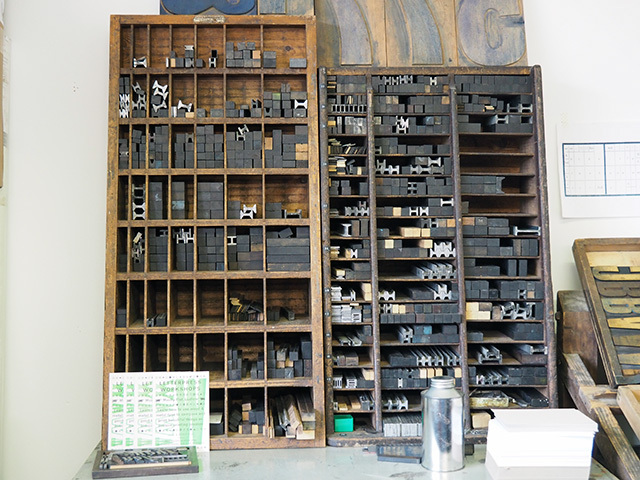 You get to create your own letterpress goodies to take home, as well as learn how to ink, operate, clean and maintain the Adana 8×5 tabletop platen press. I’ll definitely be saving up to go on one of Mostly Flat’s workshops! For more information, check out the Mostly Flat website. 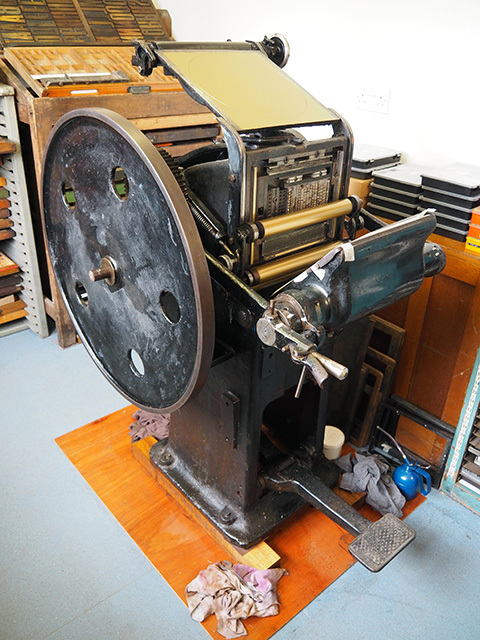 Would you like a go at letterpress printing? 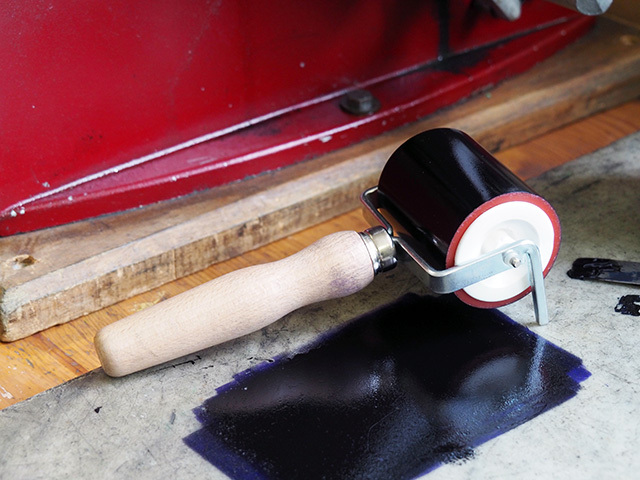 Tagged letterpress, ludlow, printing, shropshire, workshops. It’s so interesting, I would love to visit the print studio. Having only 3 people in the group is fab, everybody can ask questions and learn a lot. It’s great as a gift too. How interesting. Both my dad and his dad worked on the local newspaper in the printing room so printing goes a long way back in my family. Really interesting Nikki, thanks for telling us about it. 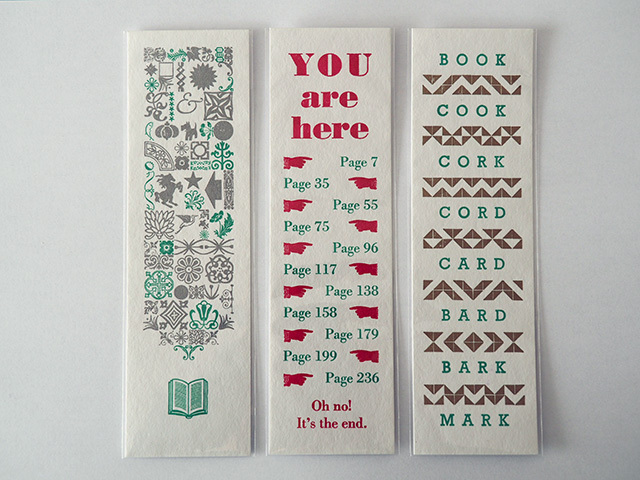 I love the bookmark that tells you where you are – brilliantly inventive. 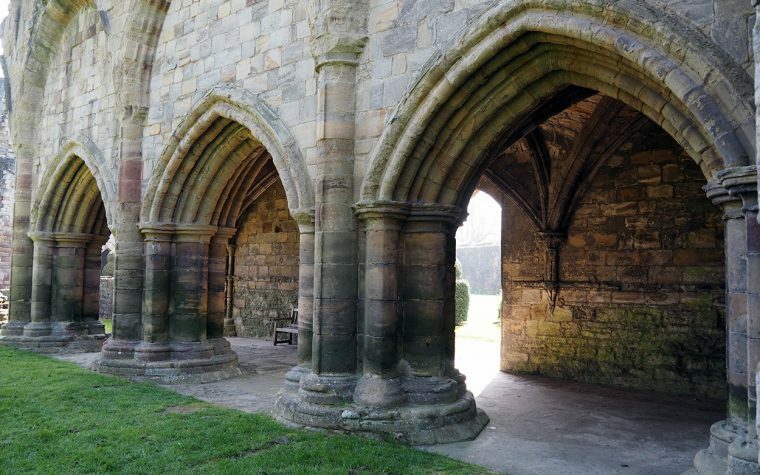 Now I could really have fun spending a day “playing” at a place like this! I remember taking a textile class in college where we designed and printed our own fabrics using a similar process. The other process we used that stands out in my mind is batik. Just think of all the important tracts and pamphlets that have been printed this way throughout history! Fascinating to look at the old printing press. I’m pretty sure that Adana was a well-known name for these presses before all of the digital typesetting took over. 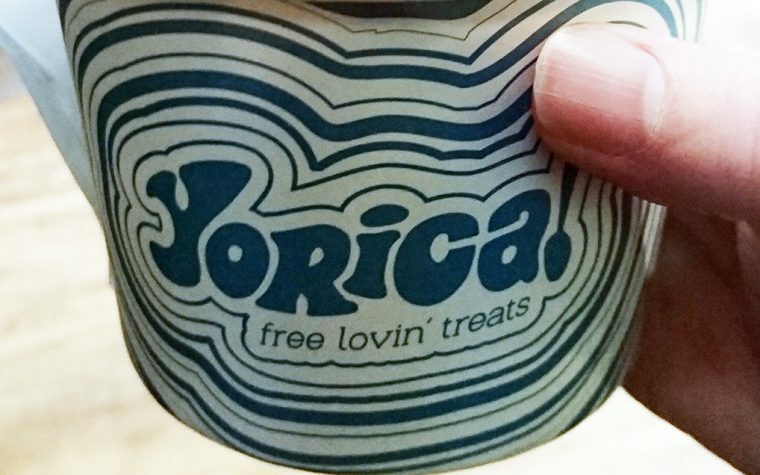 I used to have a few lines of the electronically cast typeface, as used by newspapers. I think the process was called ‘hot metal’ and it used a paper tape to drive the typesetting.